© 2013 by The York Daily Record/Sunday News. 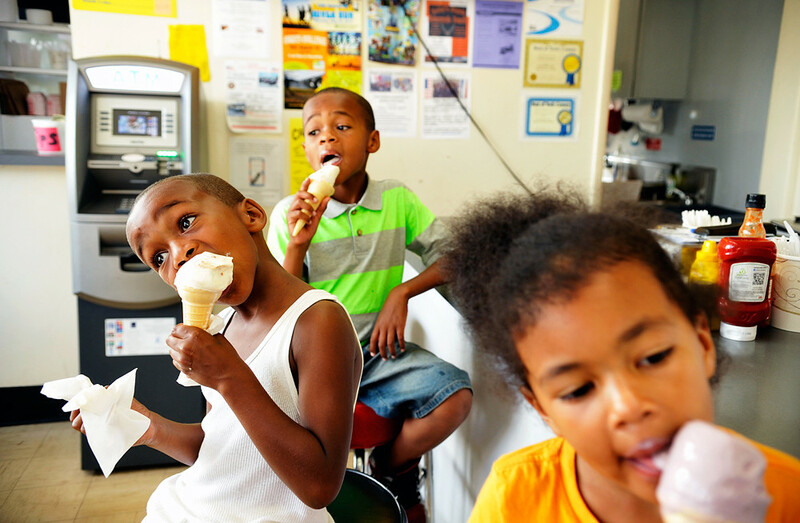 (Left to right) Siblings Asyar Hoover, 6; Amir Hoover, 8; and Anayah Hoover, 4, of North York, try to eat their ice cream cones before they melt at the counter at Jim Mack’s Ice Cream on Thursday, July 18, 2013. © 2013 by The York Daily Record/Sunday News. 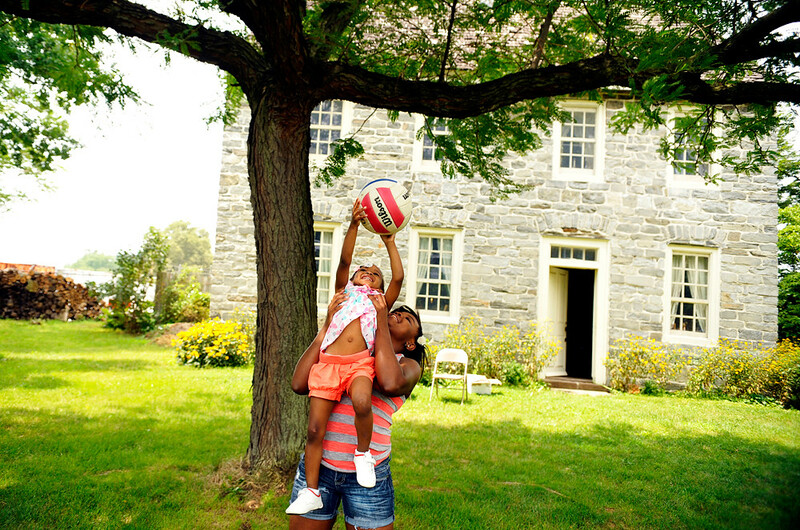 Trinity Young, 4 of Yuma, Ariz., gets a lift from family friend Kayla Sherrod, 15 of North Carolina in front of the Cookes House in Martin Luther King Jr. Park during the Codorus Street Reunion on Saturday, July 27, 2013. Young’s great-great-great-grandparents lived across the street from the Cookes House from 1927 to 1961, before the Codorus Street homes were razed and the area became the park. Families and friends congregated at Martin Luther King Jr. Park in York City for the second annual Codorus Street Reunion. The park was once the site of Codorus Street, to which a number of black families moved from South Carolina in the 1920s. © 2013 by The York Daily Record/Sunday News. 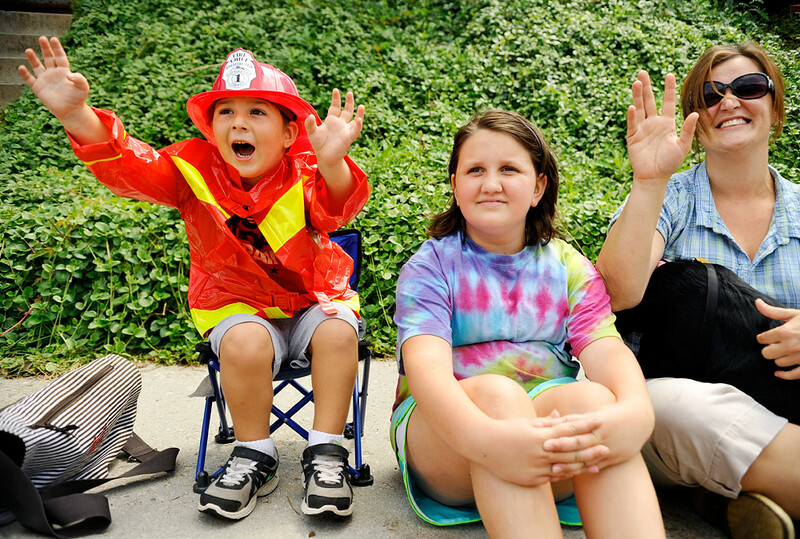 (Left to right) Nicholas Warren, 3 of Windsor Township, waves to passing firefighters as he, his sister Brianna, 9, and his mother Danielle watch the Firefighters Association of York County parade of firefighting apparatus pass by on West Broadway in Red Lion on Saturday, Aug. 17, 2013. This year’s convention and parade were dedicated to the memory of Loganville fire chief Rodney Miller, who was killed in the line of duty in April 2013. © 2013 by The York Daily Record/Sunday News. 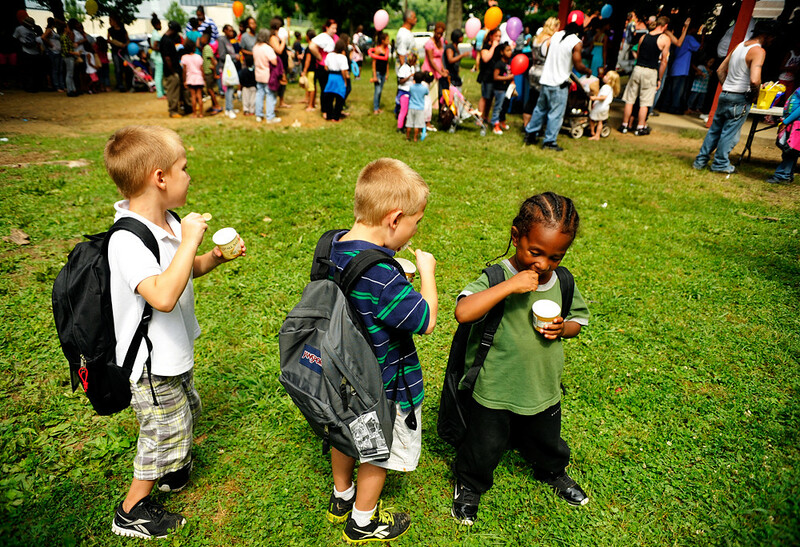 (Left to right) Hayden Russ, 5; Keaton Brenner, 4; and ZaiNez Davis, 3, all of York, eat ice cream while wearing oversized backpacks they received during a giveaway hosted by the Freemason Social Friendship No. 42 at Farquhar Park on Saturday, Aug. 3, 2013. 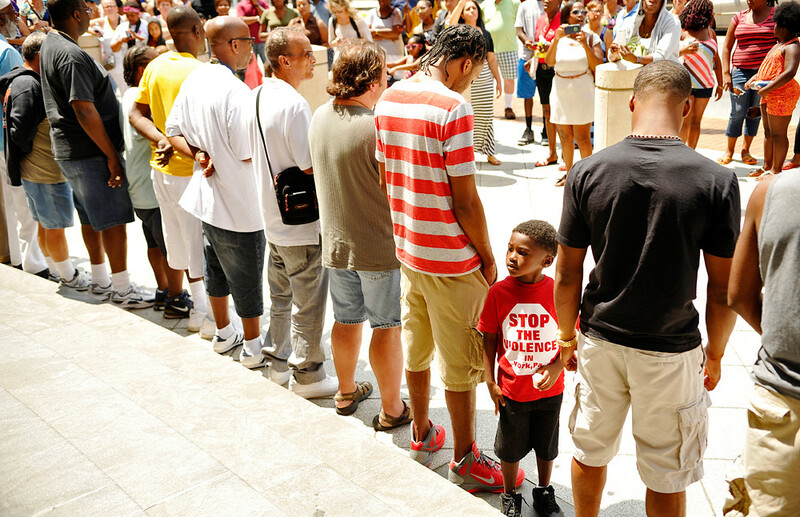 In front of the boys is a line of several hundred people waiting to receive their free backpacks.